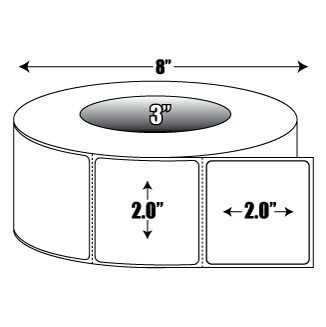 BLANCO’s Direct Thermal Cold Temperature labels have a smooth white paper with a medium sensitivity thermal coating. A special low ion Top Coating provides protection for the thermal layer and maximizes print head life. These self-adhesive label rolls are resistant to blood, fats, oils, plasticizers found in PVC, alcohols, solvents, and vinegar. BLANCO also manufactures a 2 in. x 2 in. direct thermal label with a 1 in. core and/or a general purpose adhesive (see related items).